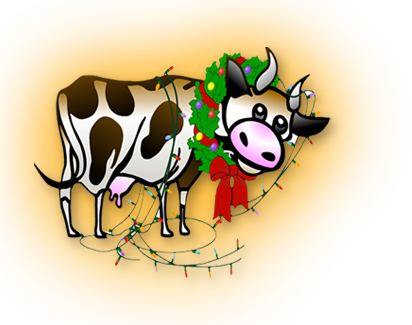 Holiday traditions await you at Creamy Acres as they transform the dairy farm into a Christmas Wonderland filled with huge sparkling light displays, a Musical Dancing Tree light show and lights galore. Bring the family for an old fashioned hayride while listening to all your favorite Christmas songs. Stroll through our Barnyard Walk with lights a glow. And yes, a free photo op with Santa! The Night of Lights Country Christmas hayride and light extravaganza is sure to please kids of all ages. Creamy Acres wishes to help make your Christmas memories sparkle. TICKETS WILL BE AVAILABLE ON-SITE FOR PURCHASE DURING BOX OFFICE TIMES OF 5:30PM TO 8:00 PM. NO RESERVATIONS REQUIRED. CONCESSION STAND OPEN FOR REFRESHMENT SALES.